More women are in danger of becoming addicted to gambling as online betting grows, an addiction expert has warned. The secretive nature of online gambling has enabled more women to gamble 'behind the blinds' in the privacy of their own homes, warned leading counsellor Austin Prior. "Gambling addiction generally has risen dramatically over the years with the rise in overall gambling. And the ease of online gambling is growing," he said. The increase in women gambling online is more along the lines of passive gambling which often use a slot-machine type format. "Gambling on horses and football is mostly done by men and it is about chasing the buzz. Women tend to get involved in the more passive types of gambling activity," he said. Mr Prior, who works at the Rutland Centre in Dublin and in private practice, said it was easy for women to get caught up in gambling because it can be done so easily in the home. "Women who experience addiction problems would acknowledge themselves that they are very much in the minority when they go to Gamblers Anonymous," he said. He added that research in Sweden revealed more women were seeking treatment for gambling addiction than men. But that was not the case in Ireland, and he called for more research in Ireland into female gambling addiction. Two years ago, the chief executive of the Rutland Centre, Maebh Mullany, warned there could be a future surge in women with gambling problems as they were being increasingly targeted by the gambling industry. She said women traditionally tended to use scratch cards or slot machines as a form of escape. 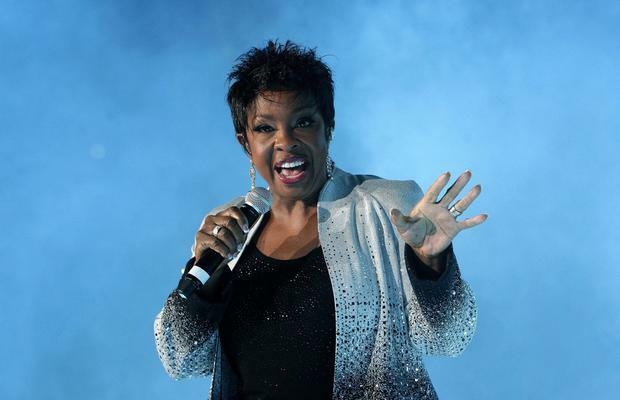 American singer-songwriter Gladys Knight has spoken in the past about how she called Gamblers Anonymous to help her recover from a blackjack problem. Mr Prior told the Sunday Independent that while, anecdotally, women were doing Lotto number bets in bookies shops, it appeared they were doing most of their betting online. "Like any addiction, we tend to focus on damage done at the extreme end when people lose their houses. But the reality is a lot of damage can be done before that point is reached, in terms of financial losses, time lost, and emotional consequences. "One of the big effects of gambling addiction is an almost total emotional shutdown. People are not able to be emotionally present because they are so caught up in the stress of the whole process of gambling." practical steps by not being in possession of cash or debit or credit cards in order to make a definite break from their behaviour. They hand over command of their finances to a partner or a parent which can be demoralising but necessary. "I help them to realise it is an impulsive, compulsive behaviour. People around them may say 'just stop doing it and it will be OK' but that does not take cognisance that it is actually a compulsive behaviour which is not totally logical," he said. "When you take away that behaviour, there is an underlying issue that needs to be addressed. A big part of recovery is getting in touch with the underlying problems." Passive gambling such as slot machine apps can be used by gamblers as a 'mind-numbing' exercise. "You know when people are talking about a blackout when they are drinking or drugging where they lose hours in the day. The same things happens around passive gambling where people go into a casino or go online and say they are just going to play for a few minutes and they are still involved five hours later," Mr Prior said. "The mind-numbing could be part of what they were looking for but they might not be consciously doing it. "Part of the work they do when they go into a treatment centre like the Rutland Centrte is to talk to someone like me and ask why they need to do that avoidant behaviour so badly." The ease which gambling activities can be accessed at home can result in people getting caught up in them. Mr Prior said women do it at home during the day or "tend to go on late at night after putting the children to bed". He acknowledged that the vast amount of people who gamble do not have a problem and enjoy it. But the gambling industry was not doing enough about the many vulnerable people in society. "There are a lot of people for which the gambling industry represents a huge danger area emotionally, financially, and even physically in terms of the amount of stress involved," he said. Mr Prior added that new legislation being planned needs to be effective, including curbing free bets. "The amount of free bets being offered, especially at night on television and online, is a matter of concern. Younger people are being hit more with free bets when they are on their own on social media. "It's very insidious. Targeting women is an obvious extension of marketing in the gambling industry. "As with any addictive or compulsive behaviour, playing for a while is fine. But if a couple of hours pass and you are not doing the things you should be doing, like an assignment for college, you have to ask yourself 'what am I doing?' and 'what would it be like if I stopped doing it for a while? '," he added.